Johnson&Johnson 1-Day ACUVUE® MOIST® Contact Lenses (90 Pack) - A single use, daily disposable lens. Great for people with a busy lifestyle. 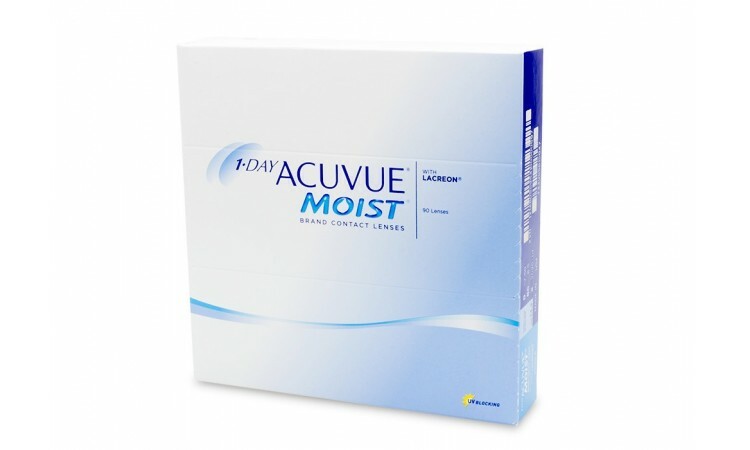 Johnson&Johnson's 1-Day Acuvue Moist contact lenses will give you exceptional comfort from the moment you put them in, to the moment you remove them at the end of the day. 1-Day Acuvue Moist are the only daily disposable contact lenses with Johnson&Johnson's exclusive LACREON® Technology. LACREON® is a proprietary technology that permanently embeds a water holding ingredient, similar to that found in natural tears into the contact lens material, etafilcon A.